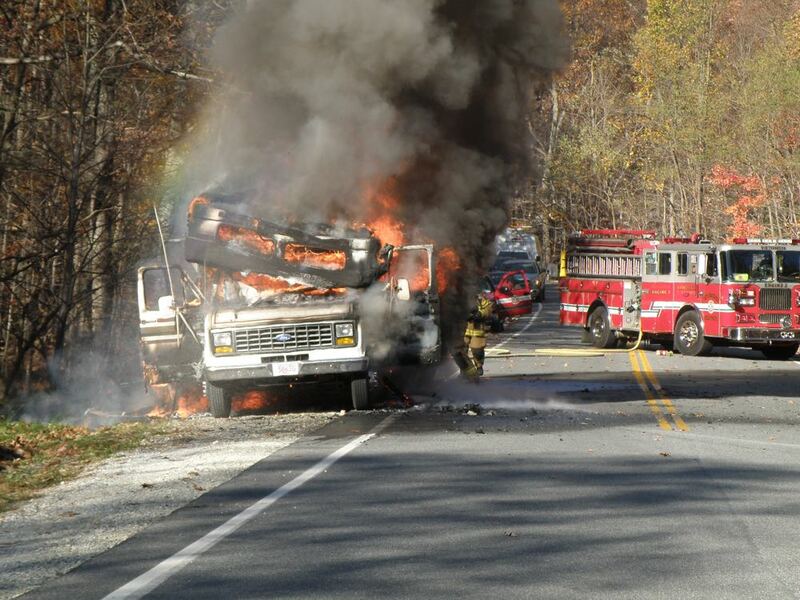 Back on November 4, 2015 we told you about the RV fire pictured above near the entrance to Wintergreen Resort. 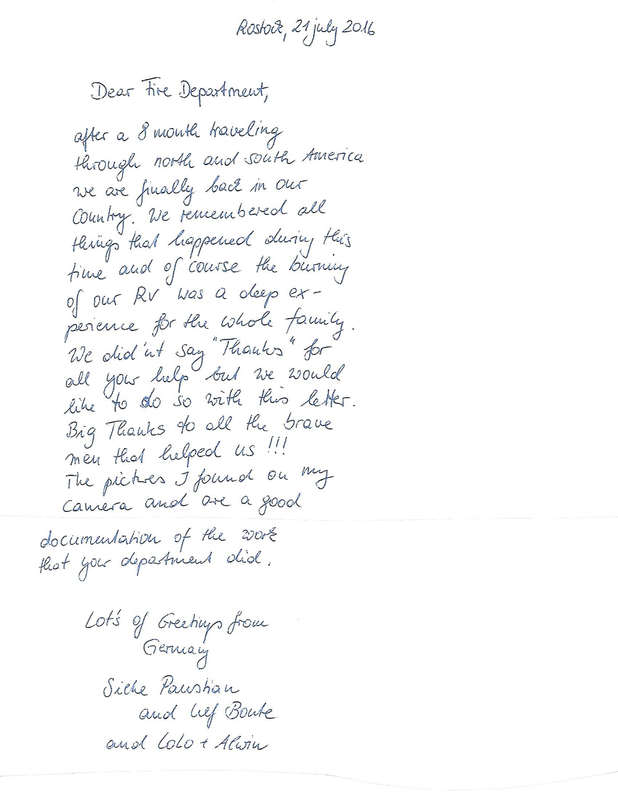 Today Chief Sheets forwarded a letter the owners of the RV sent to him thanking WFD for their quick response and help. Click on the image above to enlarge the letter to read. Nice words from folks far away! And way to go WFD! Wintergreen Fire Department Burns The Note & Says Thank You!